Stop making excuses, get fit, lose weight and start your healthy weight loss program today! Limited to the first 12 people that sign up. Weekly Progress Report: Identify the pros and cons of your week for healthy eating and exercise. 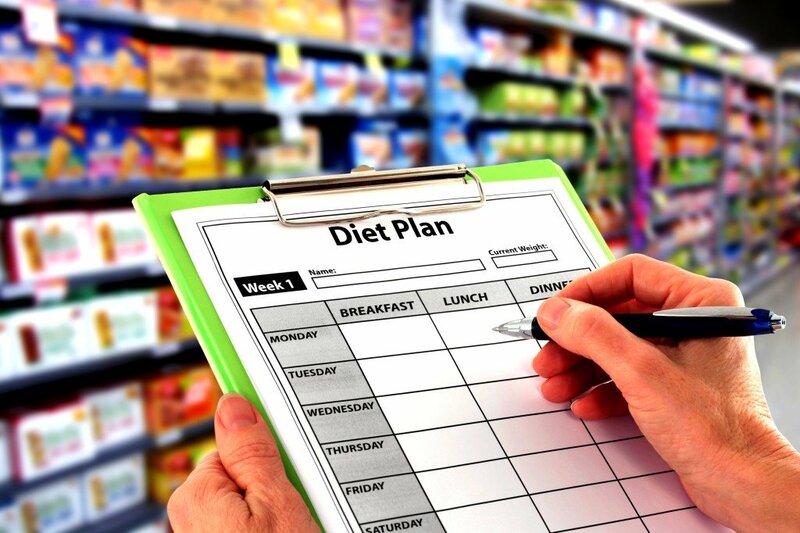 Custom Healthy Meal Plan written by Registered Dietitian, Dylan Jones. 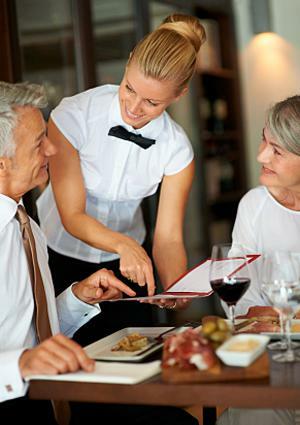 List of healthy meal options for five of your favorite restaurants. Vitamin, mineral and supplement recommendations. Support via-phone, text, e-mail 8am-8pm, 7 days a week. Analysis and recommendations for decreasing stress levels. Weekly weigh-ins and monthly body fat testing, pictures and body measurements. Online daily food tracking (For Smart Phones, Tablets & Computers). Chronic illness, disease and injury prevention. Ultimate Nutrition Guide (40+ Pages on weight loss tips, portion eating, how to read nutrition labels, healthy recipes and more). 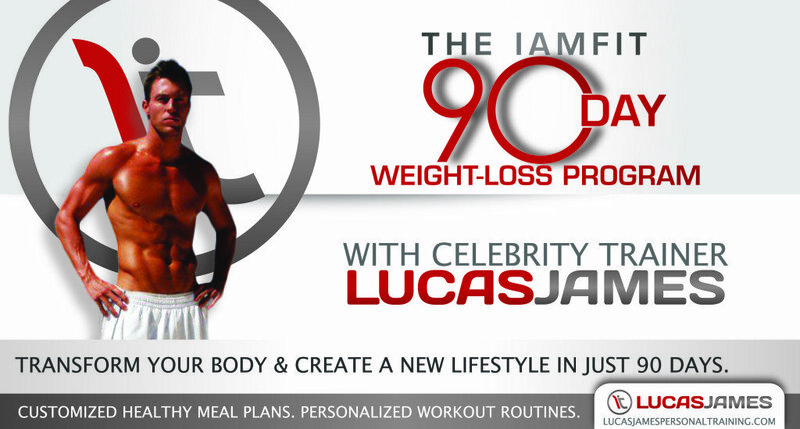 What is the I AM FIT 90-Day Weight Loss Program? It’s a 90-day comprehensive weight loss Scottsdale AZ program that educates, motivates and holds you accountable. You will get the opportunity to work one-on-one with Celebrity Trainer, Lucas James and his Registered Dietitian, Dylan Jones to create a new healthy lifestyle and help attain your weight loss goal. Sit down with us, one-on-one, each week and learn how to eat, prepare and order healthy meals; as well as the right cardio exercises to burn excess calories. Learn how to overcome your excuses, make your health a priority and create a nutrition and exercise routine you can enjoy! – A comprehensive custom meal plan will be written out for you that will include different options for breakfast, lunch, dinner, snacks and desserts based on your eating preferences and lifestyle. Including recipes, restaurants, grab-n-go, or food delivery. – We work with each client one-on-one to teach and educate them about healthy foods they can cook at home or order at a restaurant. 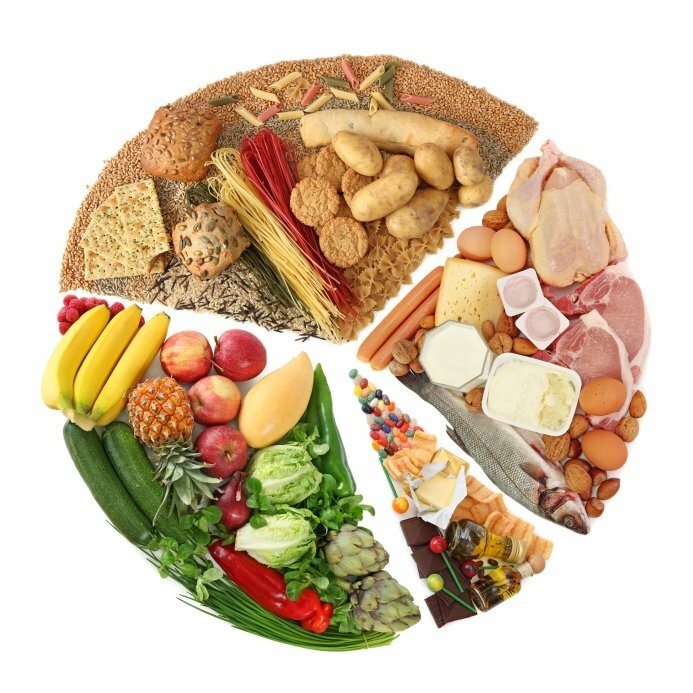 – You will get a breakdown on how many calories, proteins, fats and carbohydrates you should be eating each day. – We will educate you on how to read nutrition labels on the back of foods and what things to look for. – We research five restaurants that you frequent and give you recommendations for the healthy food choices or substitutions. – Our Registered Dietitian will educate you about disease, illness and injury prevention. If you currently have a medical condition, illness or injury we will create a program tailored to improve your health and overall well being. – Recommendations for vitamins, minerals and supplements will be given based on your goals and current health. – 1-hour grocery store tour. Learn how to navigate through the grocery store and pick the right healthy foods. – Each client will receive weekly support from Lucas James and Dylan Jones to help inspire and motivate for progress. We are on your team and we will make sure you feel that. – Recommendations for workout music, motivational videos and pictures. – “I’m too tired”, “I had to work”, “I didn’t have time” are excuses; and excuses produce zero results. We will hold you accountable and focused for success. We aren’t angry drill sargents, we just say everything with a smile and won’t tolerate your excuses. Get ready! – Goal Setting: Weekly and monthly goals will be established including weight loss, exercise, sleep, food tracking and more. – Weekly office weigh-ins on a scale. – Monthly Progress Pictures: We will take 6-8 body pictures to help you see your body changes and improvements. – Monthly Body Fat Testing: We use skin fold calipers, Bioelectric Impedance Analysis, or DEXA scan. – Monthly Body Measurements: We will measure your neck, chest, shoulders, waist, hips, thigns, calfs, ankles, arms and wrists to track changes. To ensure each client receives one-one-one attention, the I AM FIT 90-Day Weight Loss Scottsdale AZ Program is only available to the first 12 people that sign-up. We pride our program on its customization and detail. We want to make sure your weight loss experience is the best and last one. Our goal for you is to lose 2lbs a week depending on your weight loss goal. Some may lose more. We won’t make unattainable goals, we will set realistic goals to keep you at pace that keeps you motivated, stress-free and losing weight! More importantly, our goal is to create a program for you to maintain your weight loss and not gain it back. Results aren’t guaranteed. They’re earned. If you’re consistent with the healthy meal plan and learn to make your health a priority – you will lose weight! We didn’t invent a magic pill or diet – it’s real food and exercise. CAUTION: At the the end of the I AM FIT 90-Day Weight Loss Program you may need to buy new clothing because your old clothing may not fit. – Ideal Candidate: He or she wants to lose 10lbs or more in weight loss or 3 percent of body fat or more. – Each client must sign and fill out medical history questionnaire and contract agreement. – Willing to put your health as priority and motivated to lose weight! – Emotionally committed to make healthy changes in his or her life. – Be honest with us and communicate so we can make your weight loss experience the best. – Age, Height, Weight, BMI, RMR, Body Fat, Body Measurements, Resting Heart Rate and more!